The dynamic backcourt of John Wall and Bradley Beal helped the Wizards close out the Bulls with some key plays late to pull out a 107-97 win in Chicago. John Wall led the way for the Wizards with 23 points and 9 assists, while Beal wasn’t far behind with 21 points and five assists of his own. Washington fell behind early as the Bulls shot 62.5 percent in the first quarter and outrebounded the Wizards 18-3 in the period en route to a 33-22 lead. 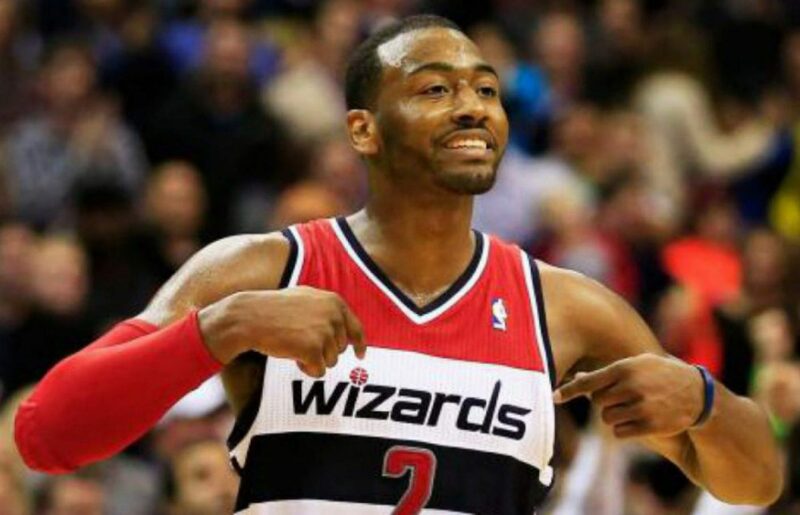 But the Wizards roared back in the second quarter using a 10-1 run to get back into the game. They also got more active in transition in the quarter. They scored 13 points in transition in the second quarter alone, finishing with 32 for the night. The Wizards went into halftime trailing by only one. The lead seesawed back and forth throughout the third quarter, and ended with the game all knotted up at 77 going into the final quarter. The bench helped the Wizards get off to a good start as Marcus Thornton hit the first two baskets for the Wizards including one where he was falling out of bounds with the shot clock running out. Trey Burke came alive and chipped in four points as well. The Bulls came back, however, cutting the lead down to 4, 97-93 late in the fourth but Bradley Beal would use a Gortat screen to knock down a jumper and put the Wizards back up six. John Wall then iced the game the next time down the court with this dagger. With the win, the Wizards now have a crucial road win against an Eastern Conference foe that’s sitting right above them in the standings. They’ll have a chance to pick up another one on Friday night when they take on the Bucks in Milwaukee. Wall got T’d up with 2:50 remaining the first half, on a play where Taj Gibson plowed into him but no charge was called. Dwyane Wade cleaned up the miss and was fouled as the Bulls completed a quasi four-point play to put them up 52-44. That lit a fire under Wall as the next three times down the court; he got a layup in transition, was fouled in transition, and found a trailing Beal for three as the Wizards ended the quarter on a 11-4 run. Wall turned up the heat on the defensive end, resulting in the Bulls turnovers and as mentioned, easy baskets for the Wizards. The Wizards looked to get out on the fast break tonight and the Bulls helped them. The Bulls committed 14 turnovers (9 in the first half) resulting in 19 points for Washington. Washington turned the nine first half turnovers into 13 points as many of them were of the live-ball variety. This allowed the Wizards to get out on the fast break and convert on some easy buckets as the Wizards had 13 fast break points in the second quarter and 32 for the game. The Bulls, the second best rebounding team in the NBA, grabbed six offensive rebounds in the first quarter. They continued sending guys to the glass in the second quarter which also helped the Wizards get out in transition and claw away at the lead. Scott Brooks said he wanted to get McClellan some playing time on this road trip, and the rookie got his opportunity tonight. McClellan scored seven points tonight (2-3 shooting) and did a pretty good job on the defensive end as he was matched up against Jimmy Butler or switched onto Dwayne Wade. McClellan saw extended time in the second half because Porter was sidelined with back spasms. If he can continue to turn in nights like this, that’ll result in more and more playing time. Previous postYoung hits circus shot with .9 seconds, drops Wiz 107-105. Next postWizards no-show against the Bucks, get blown out 123-96.